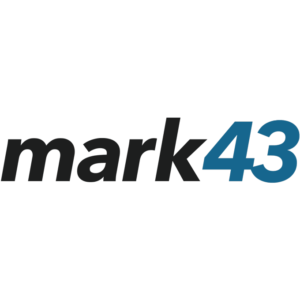 NEW YORK — Mark43 Inc., the leading cloud-based public safety software company, today announced that the Boston Police Department (BPD) has signed to implement the Mark43 Records Management System (RMS). In addition to standard police report writing capabilities, BPD will also be using Mark43’s tools to manage investigative cases, physical property and evidence, as well as video, image, and audio content. This announcement builds off years of staggering momentum since the company’s founding in 2012, which has particularly ramped up in the past year. Mark43 has rapidly expanded customer adoption, with over 60 public safety agencies signed to date. In the past six months alone, the company has signed additional contracts in four new states. Now, Boston joins Washington, D.C. and Seattle to be the third major city to incorporate Mark43’s technology. Unlike any legacy software system, Mark43 developed an entirely cloud-native platform to provide first responders with the tools they need today as well as prepare agencies for the future. As an independent and agile company, Mark43 brings the Boston Police Department and others a modern, connected platform that will continuously innovate to incorporate new technology. Mark43’s intuitive RMS application works on and with all devices, allowing paperwork to be filed while still on patrol and granting officers valuable hours back in the community. The Boston Police Department will be among the first of Mark43’s customer agencies to use an enhanced iOS mobile version of the RMS, which also allows officers to safely and confidently enter dangerous situations with critical background information about a person or location at their disposal. In addition to building cloud-first technology, the company offers the highest level of customer service. Mark43 shows the same level of personalized dedication to each and every client, even with a much wider customer base and ever-growing platform of technological offerings. The company continues the practice of ride-alongs to this day to learn firsthand what officers need in their day-to-day missions. Mark43 also offers 24/7/365 technical support, always available to answer customers’ phone calls and emails.